A college insight into the horticultural industry. 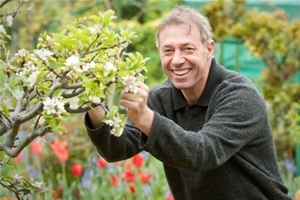 Many people think that the term horticulture refers simply to gardening but, whilst all gardeners are indeed horticulturists not all horticulturist are gardeners. Horticulture is essentially the intense cultivation of plants for human use, not only in terms of food production but also for medical, environmental and social uses. Plants are critical for the planet and for human survival, but without horticulturists, we would not have the knowledge, skills and technologies to grow and produce them in the quantities sufficient for our needs, nor would we know how to cultivate varieties that are resistant to insects, diseases and other environmental stresses. Without horticulturists and the ancillary activities of plant conservation, landscape restoration, garden design, construction and maintenance, and horticulture therapy, we wouldn’t have green spaces in which to relax or reflect. Given the common misconceptions, it is hardly surprising that the public are generally ill-informed about the employment opportunities in the industry, often believing that horticulture represents an unscientific, unglamorous and poorly paid career. 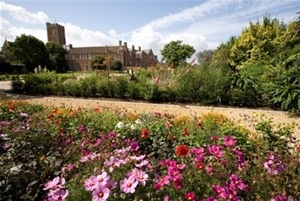 At the Bridgwater College Walled Gardens of Cannington in Somerset, the Grounds Manager is Andre Gardner. He is keen to challenge the view that ‘anyone can do gardening’ and explains that, “Horticulture is truly a skilled trade, you need to be part artist, part builder and part scientist. You will require technical ability, practical aptitude and business acumen. A career in horticulture can take you to beautiful locations where you will meet the most interesting people and enjoy a wonderful quality of life. What’s more, there is a diverse range of vacancies in the industry waiting to be filled by trained, technical and socially aware graduates who have the skills to start straight away”. Students develop a range of skills during their time at Bridgwater College, including plant and soil science, plant identification, plant propagation, tools and machinery operation and maintenance. Other topics range from fruit and vegetable production, lawn and turf care plus many aspects of landscape design and construction. Students working in the grounds. Many former students have already established their own small businesses, particularly in the areas of landscape and garden design and maintenance. Student success is also reflected in the number of trophies awarded to students in regional and national shows and competitions. These events give the students the chance to demonstrate their design, build and teamwork skills in the professional, competitive environment, which builds their confidence and allows them to experience what working in the sector might be like. Employment in the industry is going to be an achievable goal for most, given that there is going to be an estimated eleven thousand vacancies between now and 2020. In the public sector, urban regeneration schemes require people with green skills to landscape new housing, highway and parkland areas. New nature reserves and wildlife parks are springing up in response to the conservation agenda. Private clients with busy lifestyles and disposable incomes are looking for people to provide simple design and maintenance solutions for their gardens. 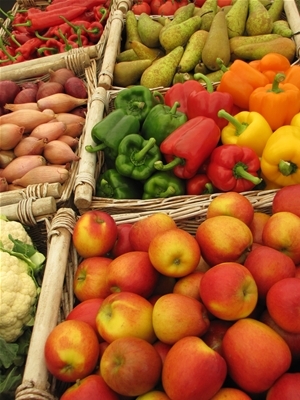 Increased consumer spending on home gardening and allotments translates into an increasing number of opportunities in commercial horticulture and retail, and with the important role that horticulture plays in safeguarding the world food supply for the years to come. This will open up numerous opportunities for scientists, researchers and advisors. The horticultural industry is buoyant and defying the economic downward trend; with climate change, water shortages, pressures on land use and a growing population, many scientists believe that this could be one of the most important industries of all in the future. So if you feel encouraged and inspired to consider joining a £9 billion industry which currently employs two hundred thousand people and is in need of thousands more to replace the ageing workforce, you would be well placed to think about starting a training programme. The above editorial is an extract from the Bridgwater College publication “Live it, Love it, Learn it”. 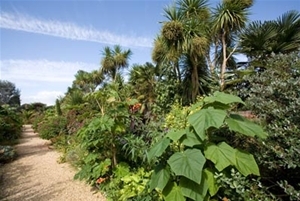 The Gardening Times is planning an editorial visit to The Walled Gardens of Cannington in spring 2014; keep an eye open for our report.